I am still awake, unlike usual and had just watched my lil' princess sleep like an angel. 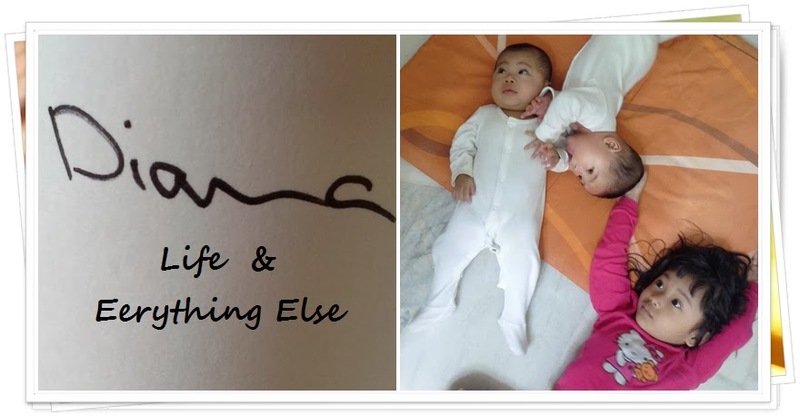 And I thought to myself everytime, it is such a wonderful feeling being a mother. A feeling which I never thought I will appreciate as much. Ermm, I suppose this is the normal mellow me who cries just by watching her sleep and smile. Who cries everytime he (husband) tells me he loves me, who cries whenever one little thing touches my heart. She is now 4 months and 2 weeks, and just adorable! She won't let me leave her side, she doesn't like to be with other people at night, still sleep through the night, she laughs and laughs but now seems quieter when there are too many people around. Owh my, she is just everything *sob sob* tears again. So yes, I guess it is the most wonderful feeling.